GRD II -150 1/32" x 1/32"
PRC recently received an order for a 100,000 lb. "Belt Winder"! Our Engineering Dept. 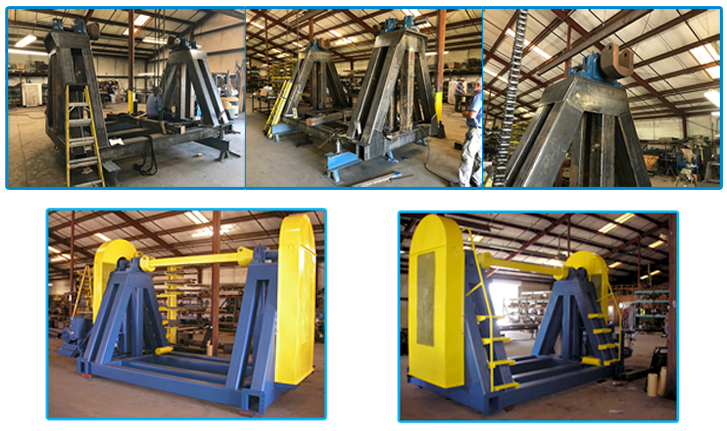 can build virtually anything for you when it comes to belt handling equipment. 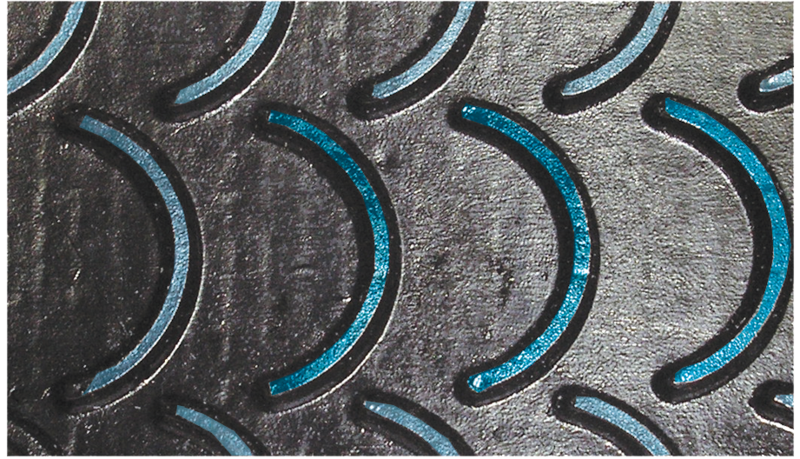 Other heavy-weights we offer are: 35,000 / 50,000 / & 60,000 lb. machines. "PRC" ... Handling America's Largest Belt Loads! 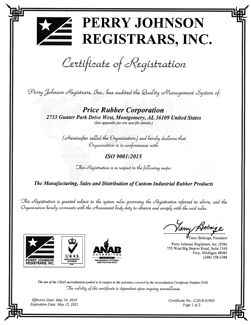 Price Rubber becomes ISO 9001: 2015 Certified! PRC has successfully passed all audit requirements initiated through its "New" Quality Management System. Full accreditation & registration is now in effect. Great Job Team PRC! 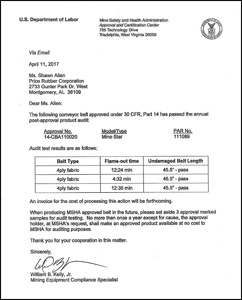 *Once Again...PRC successfully passess MSHA's annual post-approval audit for its Underground Coal Belting under 30 CFR, Part 14. This is our Second Round within the past year which is an important step in keeping "American Mines" Safer! Go U.S.A! *PRC Launches "New" MSHA Underground Belt Winder! Handles 60" wide belting x 96" diameter rolls x 20,000 lb. weight capacity. 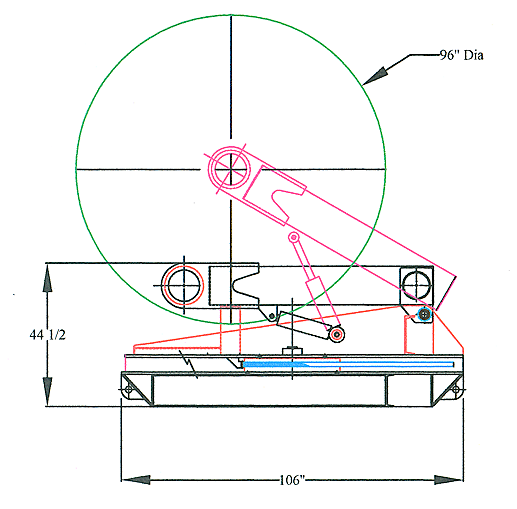 Low profile design on skid mount arrangement with 90 degree rotational turn radius. All hydraulic control / cylinder action & painted "Hi-Vis" white to withstand harsh mining environments. Contact the Factory for latest quote or simply Call 1-800-633-1470! 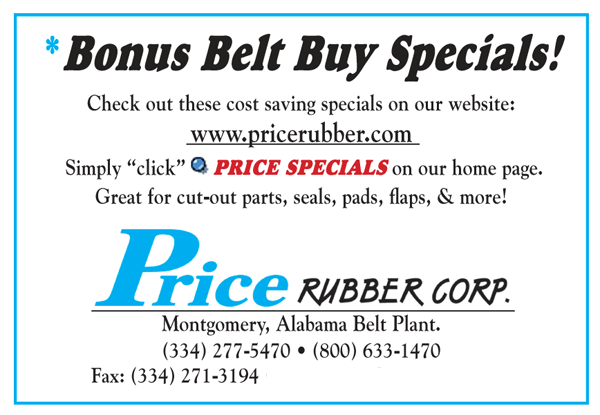 Price Rubber is transitioning to "ISO"! PRC is now in the second stage of becoming ISO 9001:2015 Registered & Certified. This prestigious mark will allow all quality control functions & standard operating procedures to be fully implemented under one Banner. These "Qualifying-Standards" were already in place & can now be fully verfified by Independant Audit & the Success of our Management Team! 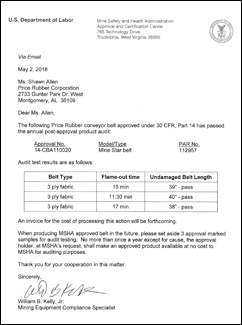 *PRC successfully passess MSHA's annual post-approval audit for its Underground Coal Belting under 30 CFR, Part 14. *PRC introduces "New" cure rate / belt thickness gauge. Take the guess work out of field cook-times with this handy little tool. Has both imperial and metric conversions. "Free", just give us a call! 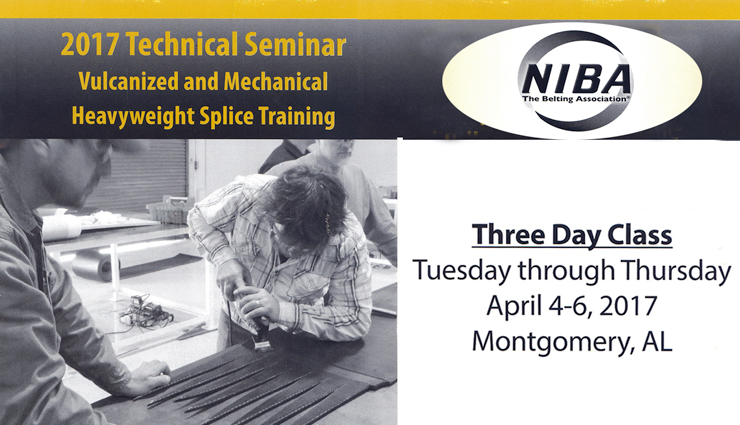 *PRC is pleased to be chosen as this year's heavy-weight splice training site. PRC welcomes and encourages any and all NIBA members or their afiliates to attend this highly sought after class. Please be sure to check NIBA's site for full details @ www.niba.org. 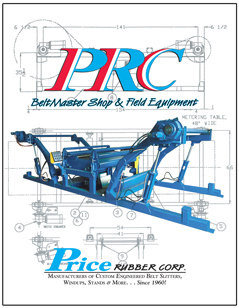 *PRC introduces our latest "Belt Master Shop & Field Equipment" guide. Complete 8-page colorized format containing latest slitter designs, field winders, belt stands and more. 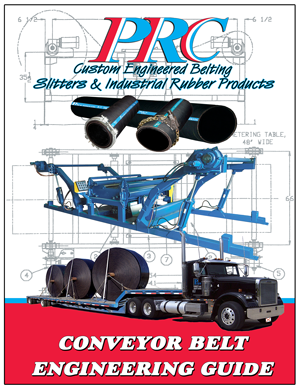 When it comes to belt handling equipment...PRC answers the Call! 1-800-633-1470 to recive yours "Free" by mail. *PRC introduces new distributor "Shop" vinyl decals. Oval design measuring 12" x 8" with latest logo & American / Company colors. Display your colors proudly in shop window or on our equipment line. These decals are a sure fire eye catcher & free. Call: 1-800-633-1470 to receive yours today! 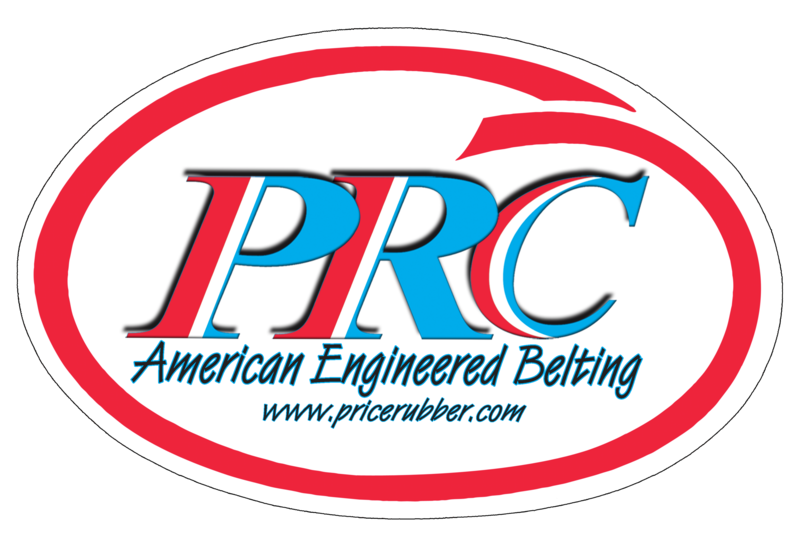 *PRC launches our "Most" proven MSHA / Nitrile compound into an already successful belt line - Price Cleat. This multi-chevron style of belting is designed and formulated for both aggressive, steep incline use, as well for its Flame-Out capabilities. Static Conductivity, Oil & Ozone resistance are key features as its ability to self-extinguish when flame is removed. From Superior, WI to Baton Rouge, LA, PRC's cleated chevron handles America's Grain Traffic! 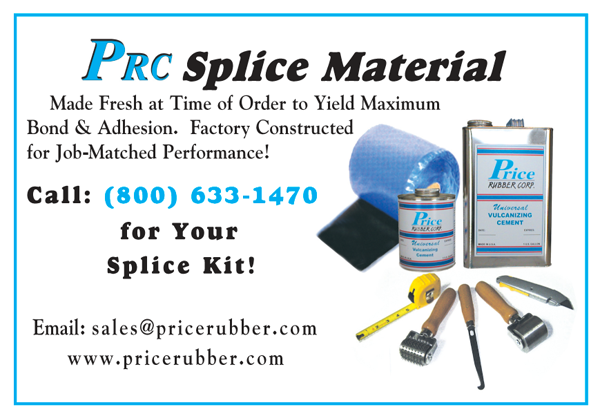 *Did you know that PRC stocks PVC and Lt. Weight Belting? We sure do and it's available today! For all your PVC, Cresent Top, Rough Top, Food Grade Belt needs, give us a call @ 1-800-633-1470. Need it laced? We do that too with delivers to match with your Heavy-Weight Belt order! Check out these offerings for added savings. With raw material "Prices" surging every month, sometimes weekly, these specials are priced to move on over-runs from production!